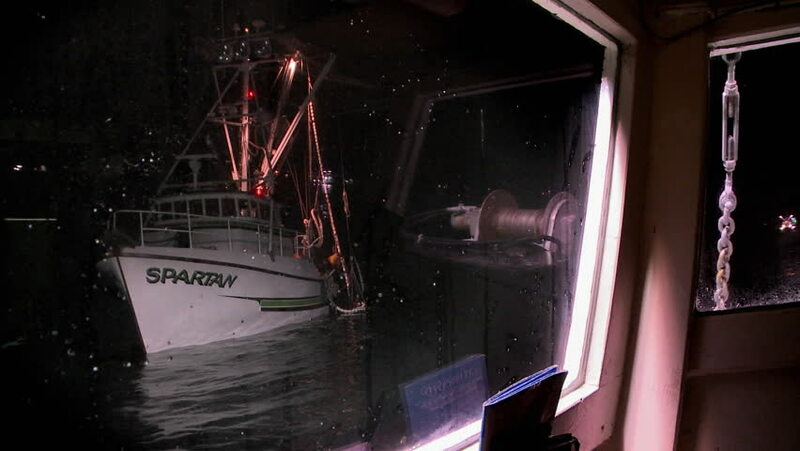 NOME, ALASKA - CIRCA 2009: A boat bobs in the water, then begins to move, as seen through the window of another boat circa 2009 in Nome. hd00:221960s: Orange and blue ball bounce and roll on abandoned train car with broken windows. Inside an empty boxcar, orange ball taps blue ball. hd00:111960s: patrol vehicle with lights and siren blocks country road as police officers step out, put on hat, approach passenger car and talks to men and women in seats through open doors. hd01:02CIRCA 1950s - An offshore drilling rig is built in the 1950s. hd00:17A man in a black hoodie with a hood in a terrible old house with a cobweb.